Yasssssssssss! Time to play robots again. 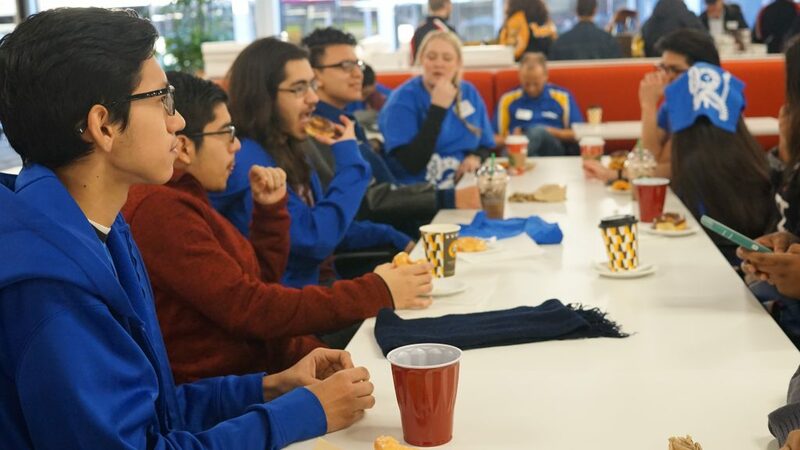 As last year, we were able to help host the kickoff with our sponsor Texas Instruments. 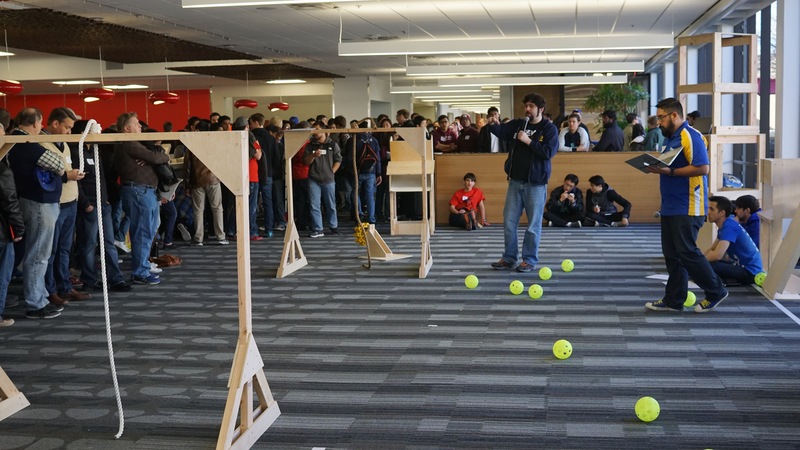 This year, despite some winter weather on Friday, we had ~29 teams show up and 575 people all ready to play robots! 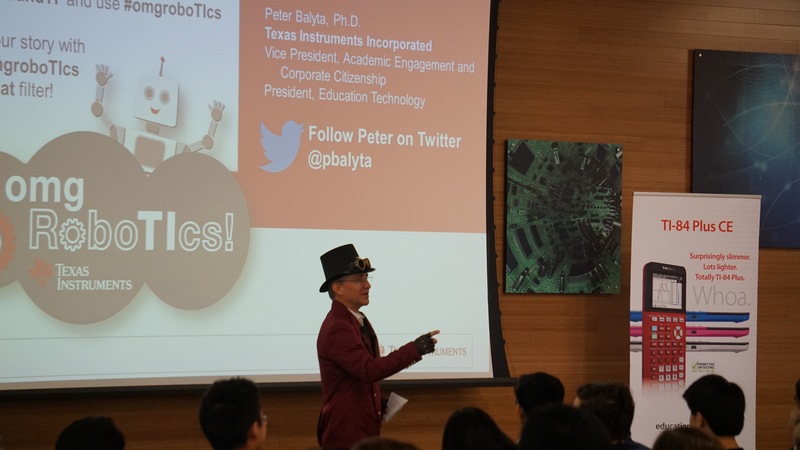 Peter Balyta, who leads Texas Instruments’ Education Technology Group, came back as our keynote speaker. He upped the ante from last year, coming in costume, and he also now participates on FRC 5417 with his son. The RoboChargers team was out in full force, with about 30 team members in attendance… looking snazzy in team gear and new build shirts. 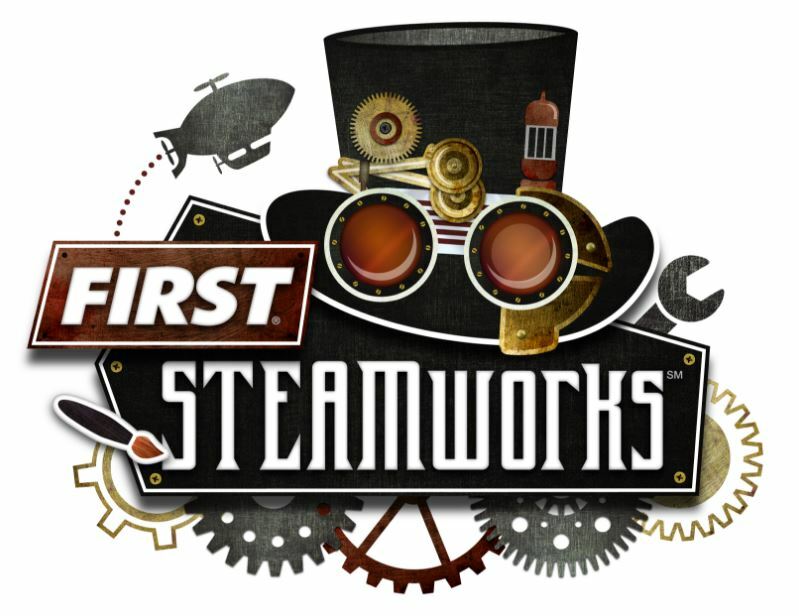 As last year, we went through the field walk-through, with FRC2848 mentor and REV Robotics Founder Greg Needel leading the effort, supported by 3005 mentors Marco Guerra, Bart Basile, and Steven Smith. 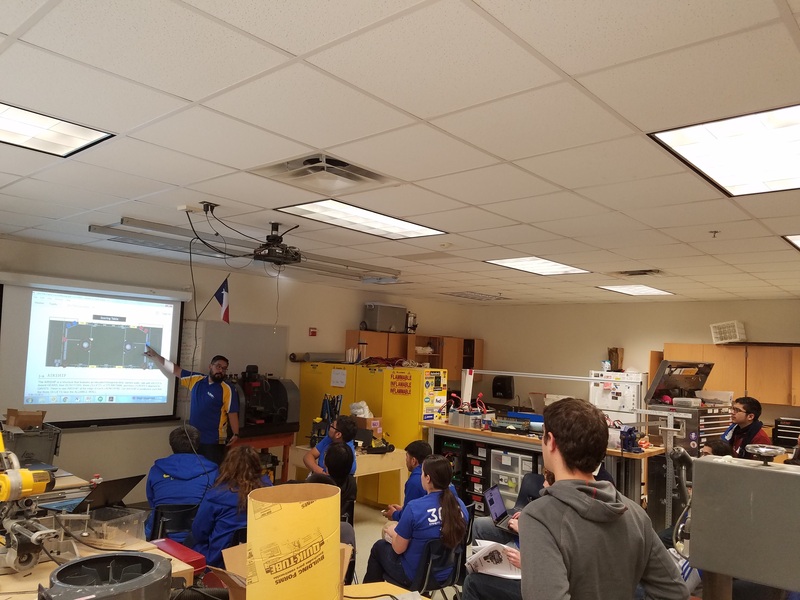 As a slight (and welcome) change from last year though, the kickoff event was a half day, which allowed us to meet as a team in the afternoon for a thorough rules review. While our team is almost half freshman, which means ALL of the rules are new, it was encouraging how quickly the entire team absorbed the rules. With the base level of rules reading out of the way, we can start moving on to strategy discussions on Tuesday.